The terms of DIN 1986 -100 require a guaranteed controlled operation of the rainwater drainage system under conditions of both partial load and overload. 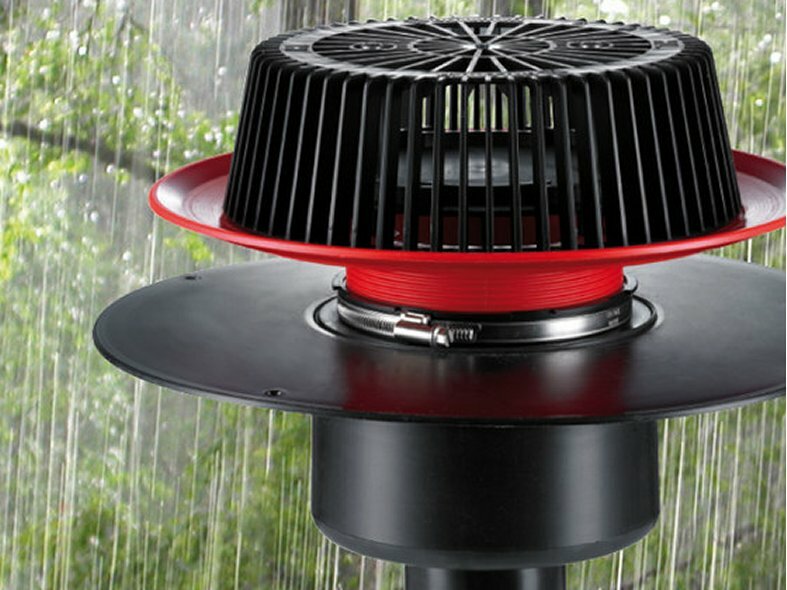 Dallmer overflow drains are designed for a„storm of the century" type situation, as a combination of roof drain and overflow drainage fittings. The overflow drains red colour immediately identifies them as a separate system. Unlike conventional parapet drains, they drain the flat roof wherever the water actually falls and not just around the edges. Dallmer type 86.1 overflow drain fittings are supplied for use with all roof drains, installed as an accessory with a sealing ring. As there is no connection created with the roof membrane, there is no need for them to be clamped to it. With a threaded arrangement they are height-adjustable between 35 - 75 mm. 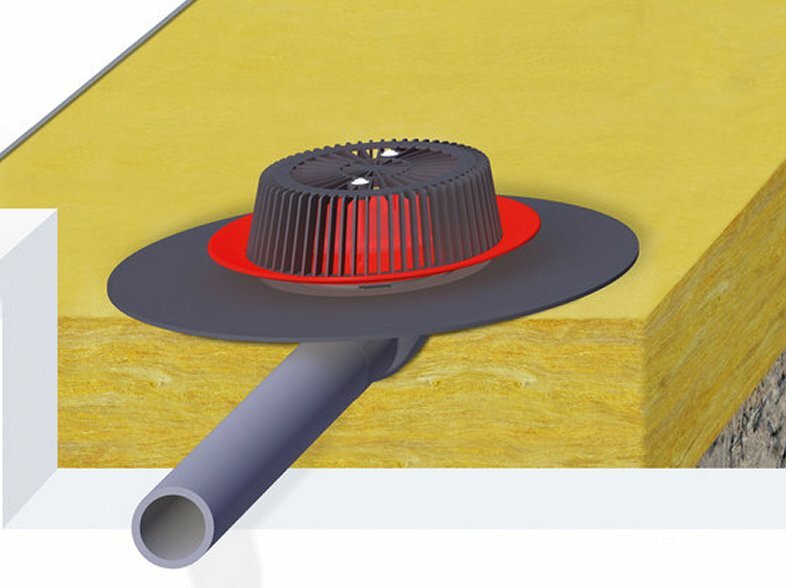 As a high-performance variation on conventional parapet drains, the compact Powerdrain overflow drain, type 86 is normally installed in the insulation layer.